(WSBERO/Bruxelles) – After the launch of several “Erasmus-Scout” initiatives by National Scout Organisations (NSOs) and National Scout Associations (NSA) in the European Region of the World Organization of the Scout Movement (WOSM) over recent years, the delegates assembled at the 21st European Scout Conference (Berlin, August 2013) adopted a resolution which addresses the important issue of young adults who increasingly move to other countries for studies or work. Two years later, even more projects have been created in order to make Scouting a commitment that can be continued even when studying or working abroad. At European Level, we have been promoting the idea at many different levels, such as the active participation in the Conference of the European Platform on Learning Mobility, held in Istanbul in autumn 2015. The conference aimed to explore not only what hinders learning mobility or what influences its schemes and structures, but also to go a step further in looking at supporting opportunities that exist and that have proven to contribute to ‘inclusive learning mobility schemes’. To address the topic of inclusion from two perspectives: is learning mobility in the youth field a tool for inclusion and what is the level of inclusiveness of learning mobility schemes in the youth field. 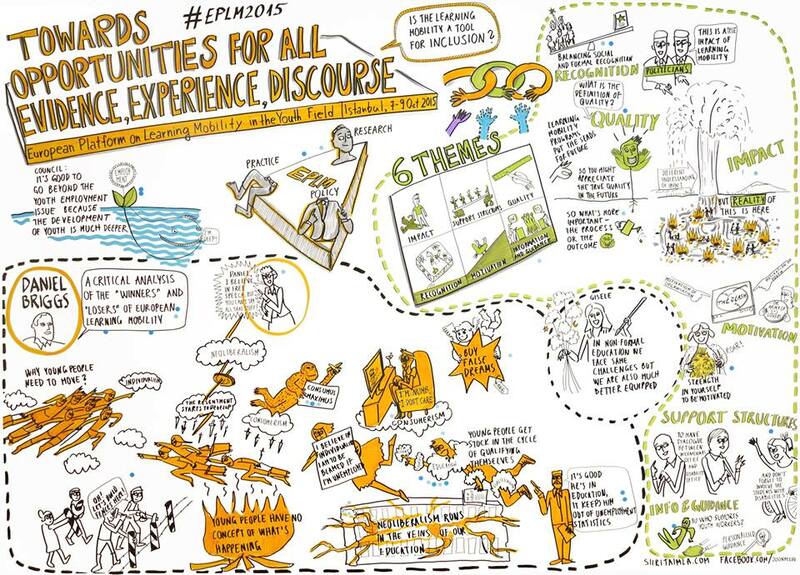 To heighten cross-sectoral cooperation around the topics of inclusion and learning mobility in the youth field. To reinforce the links between policy, research and practice in the youth field with a particular focus on learning mobility. To present and acknowledge the work of the European Platform for Learning Mobility in the Youth Field since its launching. Partnership Event of the European Scout RegionDuring the most recent European Region’s Partnership Event (held in the Netherlands in 2015), one of the scheduled agenda points concerned the EraScout Programme. As a typical example, EraScout is a practical exchange programme for young adults between NSOs. One of the questions raised was how to make this more attractive, but also to reflect on who is in charge, how can we control quality, follow up, and ensure membership of the involved persons. The role of the International Commissioners (ICs) seemed to be very significant in this process. Ten members of our movement have been participating in an EraScout Exchange Programme: eight girls and two boys had a great experience abroad. But we also welcomed Scouts from several other countries in Spain: these Scouts came from France, Italy and Belgium. We also have a publication which introduces our EraScout Programme: Libro Blanco International – Manual donde encontrarás toda la información para participar en las actividades internacionales. The FCEG “Erasmus-Scout” programme is called Scoutasmus. A team of volunteers (the Mobilitat Escolta i Guia – Equip Scoutasmus) is in charge of Scoutasmus, which appears to be very advanced in what can be done for creating exchange possibilities between Scouts and Guides from different countries. 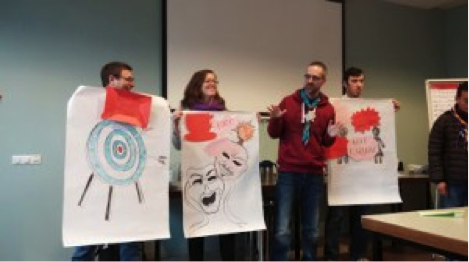 More information about Scoutasmus is available on the programme’s website. This website will be updated soon with a FAQ section for participants but also for the Local Scout Groups, who agree to welcome Scoutasmus Scouts for a certain period of time. A separate mail address has been created (scoutasmus@fceg.cat) to make the communication easier and clearer. Find out how a Scout from FCEG experienced six months of Scoutasmus in the United Kingdom. We welcome Scouts and Guides from abroad coming to our country and we help Scouts and Guides moving abroad to find a local host group through NSOs or NSAs, and we publicise the programme within our NSO/NSA. Participants who have been involved in our Scoutasmus programme have always returned to their local units after spending time in a foreign country. In addition, they also joined our Scoutasmus coordination team willing to share their valuable experiences gained abroad. On average number of outgoing Scouts and Guides is 12-15 per year while some 2-5 Scouts and Guides are coming to our country. (7) how can we improve publicity across the different platforms of WOSMs (personal stories, videos, training opportunities). It would be great if ErasmusScout could be made more known amongst all NSOs and NSAs in the European Region, to make better use of all the possibilities the programme can offer. As far we know, support similar to the one offered by ASDE, FCEG and SGP is currently available in France (SGdF), in Belgium (Les Scouts and SGV), in Italy (AGESCI) and in Portugal (CNE and AEP) . If your association is missing in this list, let us know and we will add its name and relevant details. 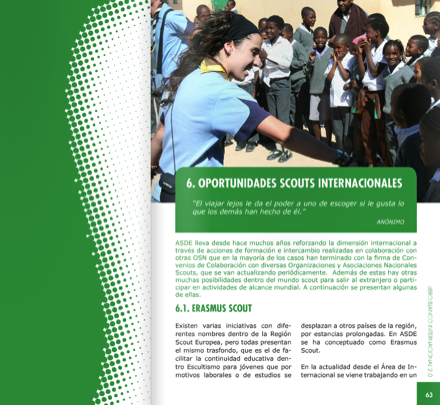 A previous article related to “Erasmus-Scout” Programmes on Euroscoutinfo.